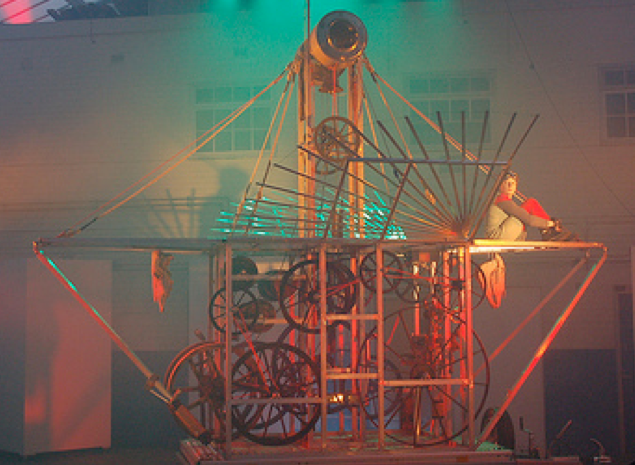 Sputnik in its first constellation was a large scale kinetic created by master sculptor Eduard Bersudsky and the Sharmanka team in collaboration with Fittings Artistic Director Garry Robson. The structure playfully riffed on the themes of time, ships, travel, the union of flesh and steel and the constancy of human hopes and dreams. 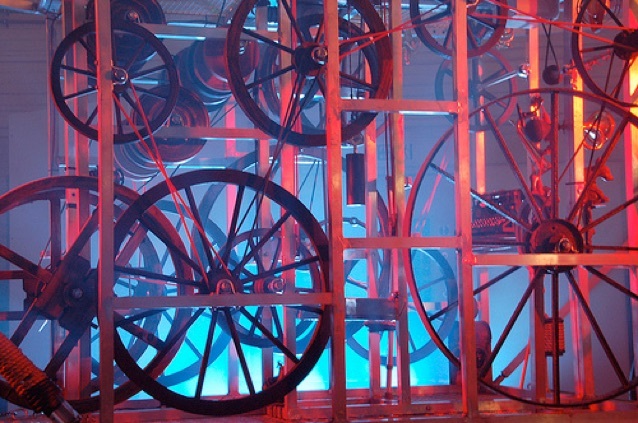 When the machine had been built, dancer/aerialist Claire Cunnningham, working alongside choreographer Mish Weaver and with music by Leigh Stirling, created a movement piece exploring these themes in the context of the machine. "I loved every minute of it! Delightful, whimsical, fun and engaging piece." "Charming performance which appeals to the child in us all. Splendidly designed Heath-Robinson convertible contraption."